Consumers expect a seamless transition between online and offline. Your business can make this happen with location-based marketing. This marketing strategy has been around for a while but is becoming stronger than ever, thanks to smartphones and social media apps integrating this feature. Location-based marketing is advertising to mobile users in a certain geographical area. Learn more about what types of businesses should embrace location-based marketing, as well as tips to get you started. Without getting into the nitty-gritty details, location-based marketing uses a cellphone’s GPS or cell tower triangulation to discover a person’s approximate location. It then identifies people who are physically close to your business. Another option is to use beacons, which can tell when someone is inside of your business location or event. Say, for example, you’re running a booth at a trade show for building product manufacturers. Using beacon technology, you can identify people who are at your booth and give them access to special custom content. Don’t have access to this technology? Other options include WiFi, radio frequency identification (RFID), and geofencing. Think of geofencing as an invisible fence. An admin sets up the barrier which triggers an alert (text message, email, etc.) when a person with a smartphone either enters or exits the “fence”. For example, a pizza shop can set up a barrier within a 5-block radius of its shop. When someone enters the “fence,” they’re sent a coupon code for a free drink with any order over $5. This tactic is a great method to increase foot traffic to your store. Is Location-Based Marketing Right for You? Sorry, online-only retailers: Location-based marketing is more useful to your old-fashioned cousins who have brick-and-mortar locations. That being said, this technology can easily be used for mom-and-pop stores and marketing for small to medium manufacturers. If your business practices inbound marketing, location-based marketing is easy to integrate into your strategy. Most forms of location-based marketing come in the form of permission marketing, which is based on the principle that people must opt into receiving messages from you. Text Message: When a customer is in a certain vicinity of your location, a text message can be sent to their phone to alert them of a sale or promotion. Push Notifications: Many loyal customers are thrilled to receive special promotions. A user will opt-in to push notifications and will receive alerts of special events or a daily sale. Another neat trick? Pretend you run a chain of fitness centers. When a customer is within a certain vicinity of your gym, you can send them a notification to remind them to work out today. Pull Notifications: Pull notifications use geofencing technology to pull customers towards their business. A person may be walking by a restaurant around noon and receive a notification that all appetizers are half-off for the next hour. This will draw people in who weren’t originally planning to do business with you. Check-ins: This form is a dying art, but many people are still checking in to locations they visit. Social media networks that support this include Yelp, Facebook, and FourSquare (or Swarm). For example, if someone checks into your gym, you can offer them a free t-shirt. How Can You Use Location-based Marketing? When it comes to location-based marketing, coupon codes and advertising sales are just scratching the surface of possibilities. Let your imagination run wild when you explore how to use this amazing technology for your business. Popular uses include coupons, sales, running contests on social media, and promoting your event. What makes location-based marketing so popular? It’s affordable and easy to use. It allows you to tap into people’s compulsive nature by encouraging impulse buys with the notifications you send out. Not only does location-based marketing allow you to attract new customers, it also allows you to gain insight on your current customers by reading what they’re saying on Yelp and Facebook. Verify your business on Google Business and Bing Places to make your business easier to find. Create an incentive program to have customers keep coming back for more (and spreading the word about your business). Ask staff to make it a habit to check-in to the location and share on social media. Encourage customers to check-in and use geotagging in their social media posts. Are you ready to start attracting customers with a customized marketing strategy? 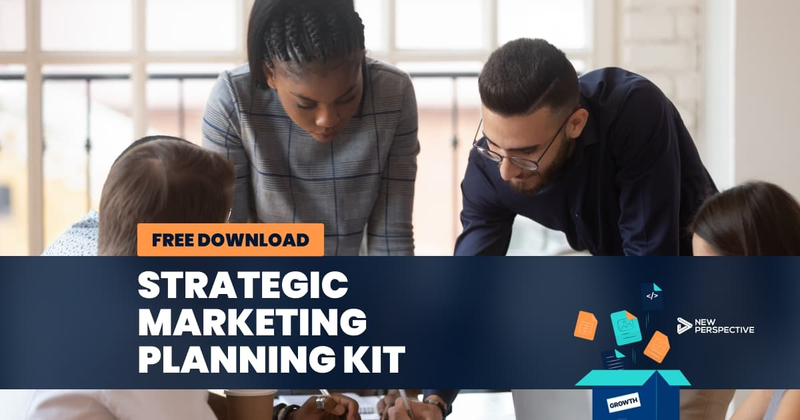 Download your strategic planning kit! It includes everything you need to build a strategy around your company and your customers.